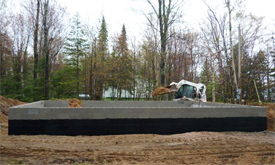 Eastern Upper Michigan Excavating Services for Paradise, Whitefish Point, Pike Lake, Two Heart Area, Newberry, Eckerman, Trout Lake, Brimley and the surrounding areas. 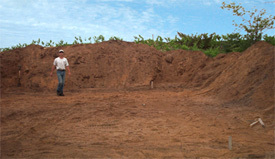 With 20 years of excavating experience, Jim Bolz can help you begin your project from the ground up. We can take an undeveloped lot and turn it into a beautiful building site! Jim and his team provide the Eastern Upper Michigan with quality Excavating Services - Our equipment makes the job easier, faster, and safer! We work with quality Bobcat equipment. Let us help you get the project - start to finish! We will work with the Health Department from the permit application to the final inspection. Jim has the experience to ensure a long life for your septic system.